The most realistic 3D drift racing simulation on mobile devices! If you are an avid fan of car racing, then you will love Chasing Car Speed Drifting! Hurricane in the city, escaping from the police! 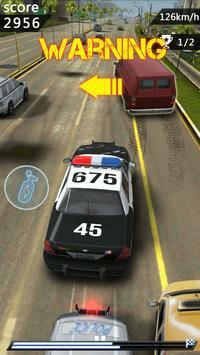 Travel through the crowded city traffic and get rid of the police behind you! There are 4 different items could be used, choose and upgrade your props before the game starts, add extra points, get more money, increase the impact bonus, increase the refreshed items in the game, and with the help of these props, you will be able to accomplish these tasks more easily. If you feel that these items can no longer meet your needs, earn more coins to upgrade them. Left and right click on the screen to control the left and right offset of the car. Pay attention to the amount of oil. Follow the oil tanker and you can add oil. If you find that there are police cars chasing you, be careful, never make a collision, or you will be caught by the police car. Join our exciting fast racing chase and show your skills in the city! Fastpaced challenge, get more rewards! 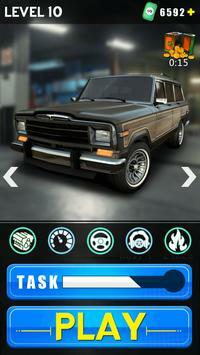 Please review Chasing Car Speed Drifting Game and submit your comments below. We will collect all comments in an effort to determine whether the Chasing Car Speed Drifting app is reliable, perform as expected and deliver the promised features and functionalities.